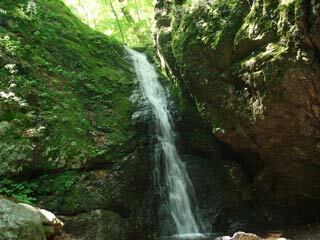 Ayahiro Falls (綾広の滝) is located on the end of the Rock Garden of Mt. Mitake. It is 10m high. The waterfalls is surrounded by huge rocks. It's a one of the main feature of the Rock Garden. 1. use JR Ome Line to Mitake.